For the fifth time Armenian Soccer participates in the UEFA Best Player in Europe Award. 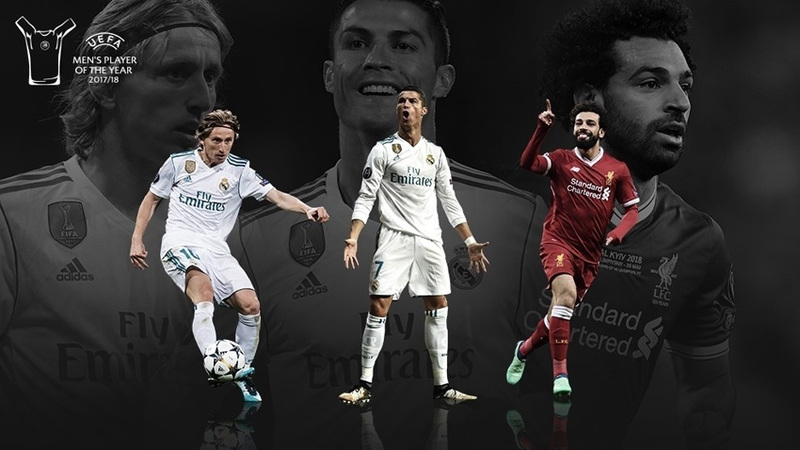 Barcelona duo Lionel Messi and Luis Suárez, and Real Madrid's Cristiano Ronaldo are the three nominees for the 2014/15 UEFA Best Player in Europe Award. As in previous years, journalists from each of UEFA's 54 member associations provided a list of their five best-ranked players, with the first receiving five points, the second four, and so on. The ten players with the most points advanced to the second vote, which has determined the three finalists named today. The jury will then cast their votes for the outright winner during the 2015/16 UEFA Champions League group stage draw in Monaco on Thursday 27 August. Past editions have been won by Lionel Messi (2011), Andrés Iniesta (2012), Franck Ribéry (2013) and Ronaldo (2014). • Broke Telmo Zarra's record of 251 Liga goals with a hat-trick against Sevilla on 22 November; finished Barcelona's treble-winning term with 58 strikes in all competitions, including a double in the Blaugrana's Copa del Rey final victory against Athletic Club. • Ended the UEFA Champions League campaign as the ten-goal joint-top scorer along with Ronaldo and club-mate Neymar. Level with Ronaldo on 77 UEFA Champions League goals and 80 in UEFA club competition after the 2015 UEFA Super Cup. • The leading marksman in the Spanish Liga (48 goals) and the joint-top UEFA Champions League scorer. His output of 61 on all fronts for Madrid was a career-best from a season in which he leapfrogged Alfredo Di Stéfano into second place on the club's all-time list. • Formed a devastating three-pronged strike force with Neymar and Messi which yielded 122 goals in all competitions, and began this season by scoring in the UEFA Super Cup win against Sevilla. ©UEFA.com 1998-2015. All rights reserved. For the seventh time Armenian Soccer participates in the UEFA Men's Player of the Year Award. Ասուլիսում Պլատինին հիմնականում խոսել է «Ոչ ռասիզմին» եւ ֆինանսական «Ֆեյեր Փլեյի» ՈՒԵՖԱ-ի նախաձեռնությունների տված արդյունքների մասին: Նա մասնավորապես նշել է .
ՈՒԵՖԱ-ի նախագահ անդրադարձել է նաեւ նոր մրցաշրջանում եվրոպական ֆուտբոլում ռասիզմի, անհանդուրժողականության, խտրականության դրսեւորումների դեմ պայքարը ուժեղացնելու խնդրին: Հատկապես ՉԼ-ի եւ ԵԼ-ի հանդիպումների ժամանակ մեծ ուշադրություն է հատկացվելու «Ոչ ռասիզմին»կոչին: ՈՒԵՖԱ-ն Մոնակոյում ԶԼՄ-երի ներկայացուցիչներին տեսանյութ է ցուցադրել, որում համաշխարհային ֆուտբոլի մի քանի հայտնի դեմքեր, այդ թվում նաեւ օգոստոսի 29-ին ՝ անցած մրցաշրջանի ՈՒԵՖԱ-ի վարկածով Եվրոպայի լավագույն ֆուտբոլիստ ճանաչված Ֆրանկ Ռիբերին, կոչ են անում վճռական քայլեր ձեռնարկել ռասիզմը ֆուտբոլից արմատախիլ անելու համար: Այս առիթով Պալատինի նշեց. FC Bayern München - Chelsea London FC 1 : 1 (3 : 4), UEFA Champions League Final 2012, Fussball Arena München, 19 May 2012. Didier Drogba scores the equaliser in normal time, concedes a penalty in extra time that Arjen Robben fails to convert and then scores the winning penalty in the shootout as Chelsea lift the Champions League for the first time in their history by beating Bayern 4-3 at the Fussball Arena München. FC Bayern München starting lineup: Neuer, Lahm, Boateng, Tymoschuk, Contento, Schweinsteiger, Kroos, Robben, Mueller, Ribery, Gomez. Chelsea London FC starting lineup: Cech, Bosingwa, Luiz, Cahill, Cole, Kalou, Mikel, Lampard, Bertrand, Mata, Drogba. Eight of the Spain squad which won UEFA EURO 2012 line up alongside the likes of inaugural winner Lionel Messi on a 32-player long list – to be cut to three next month – for the prestigious award. 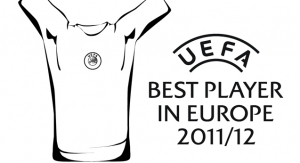 Armenian Soccer will represent Armenia in a jury to vote live for UEFA Best Player in Europe of 2011/12. The Award ceremony will take place on 30 August in Monaco. Lionel Messi, Franck Ribéry and Cristiano Ronaldo have been shortlisted for the 2012/13 UEFA Best Player in Europe Award, with the winner to be decided by a live vote on 29 August. 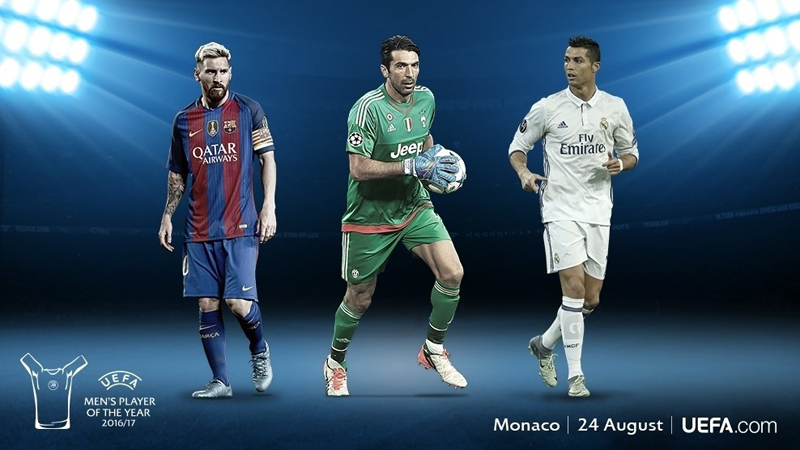 Lionel Messi, Franck Ribéry and Cristiano Ronaldo have been shortlisted for the 2012/13 UEFA Best Player in Europe Award. FC Barcelona striker Messi, FC Bayern München wide man Ribéry and Real Madrid CF forward Ronaldo came top in a poll of journalists from each of UEFA's member national associations, with the overall winner to be decided in a live vote in Monaco during the 2013/14 UEFA Champions League group stage draw on Thursday 29 August. Messi won the Spanish Liga title with Barcelona last term, as well as his fifth successive FIFA Ballon d'Or, and ended the season with an extraordinary haul of 46 league goals. Ribéry spearheaded the Bayern side that landed an extraordinary treble, cruising to the Bundesliga title and German Cup and beating Borussia Dortmund in the UEFA Champions League final at Wembley. He was also rewarded with a new contract at the club. Ronaldo, meanwhile, top-scored in the 2012/13 UEFA Champions League with 12 goals for Madrid and during the course of the campaign passed the 100-cap mark for Portugal. This season marks the third edition of the UEFA Best Player in Europe Award, which was born out of an initiative by UEFA President Michel Platini in partnership with the European Sports Media (ESM) group. Andrés Iniesta lifted the 2011/12 award after Messi had prevailed in the inaugural edition of 2010/11. ©UEFA.com 1998-2013. All rights reserved. 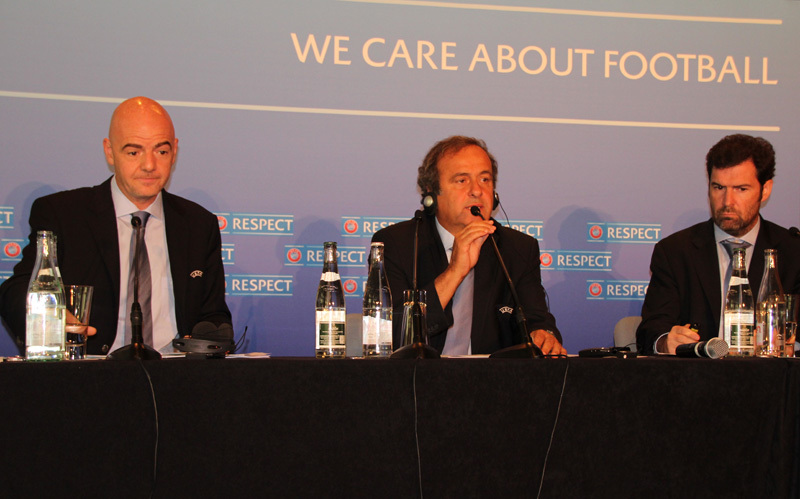 Photo report by Armenian Soccer from 2013 UEFA Best Player in Europe Award taken place in Monaco in August, 2013. All photos by Armenian Soccer.